Online shopping is simple and quick. You might enjoy the comfort and convenience of buying your favorite products in a few clicks or taps. Sometimes, however, when your order arrives, you may realize that the product isn’t exactly what you expected. It may not be of the right size or color, or in rare cases you might find that it is defective or damaged. What do you do now? 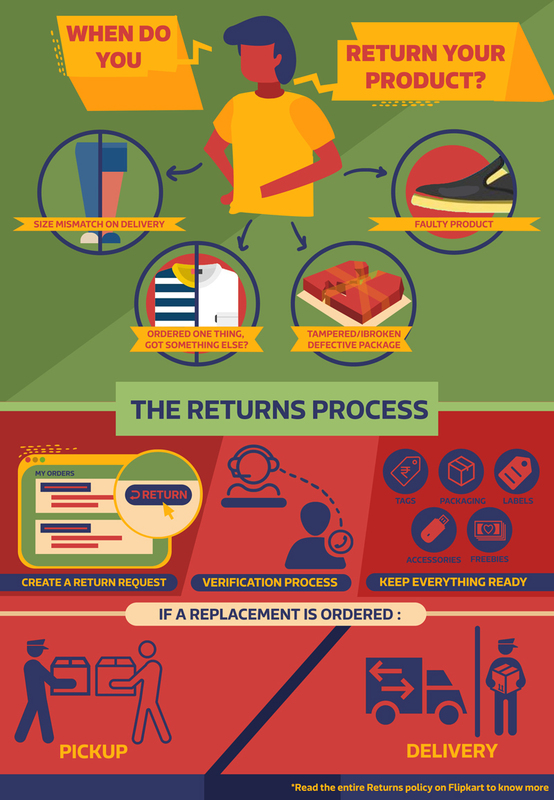 This is where the Flipkart Product Returns process makes your life easier. Replace: The product in your order will be replaced with an identical product in case it is damaged (broken or spoiled) or defective (has a functional problem that causes it not to work). How Long Does The Flipkart Product Returns Process Take? As soon as you fill out the Returns form online, you will receive an email at your registered email address and an SMS on your registered mobile phone number. You can also track the process by visiting the My Account page on your laptop or smartphone by clicking on My Orders. If you’re going in for an exchange, your replacement product will be delivered to you at the same time as the pick-up in most cases. Remember to keep tracking your order. 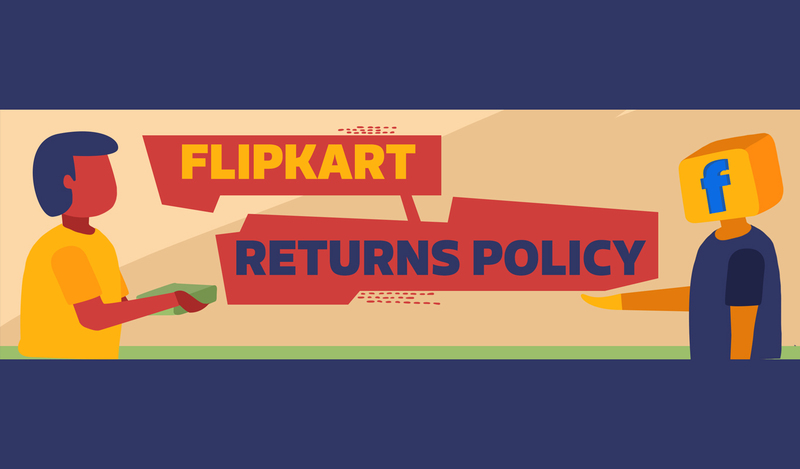 Click here to know more about Flipkart product returns. Returns is a scheme provided by respective sellers directly under this policy in terms of which the option of replacement and/or refund is offered by the respective sellers to you. The returns policy brings in a lot of changes keeping in mind our loyal customer base. One small caveat, all products listed under a particular category may not have the same returns policy. You may request for a replacement within 10 days of delivery for all electronics (Large appliances, mobile phones, laptops etc.) and a few verticals in Lifestyle. Click here for more details. You may request for a refund/ replacement/ exchange within 30 days of delivery for the lifestyle category which includes clothing (excluding lingerie, innerwear, socks and freebies), footwear, eyewear, fashion accessories and jewellery (non-precious). Click here for more details. NOTE: Be aware that for the above two buckets Flipkart’s returns policy applies as long as the items are unworn, unwashed, without stains, undamaged and with all original tags & packaging intact. Certain products cannot be returned. View this list here. When is your order eligible for product returns, exchange, replacement or refund? Explore some of the scenarios to gain a better understanding so that you make an informed choice and experience peace of mind when you shop on Flipkart. First, check if there is any damage to the product that you ordered. Sometimes, the package may appear to be damaged due to shipping and handling but the product inside the packaging may be in good condition. However, if you notice that your package has been tampered with, or the product not sealed properly in its box, you may opt to raise a Return request. Click on the Orders tab in the Flipkart mobile app or desktop site to find the Return option. Opt for this and follow the next steps of the process. The Flipkart product returns team will take over from here. Depending on the category of product ordered, you may opt for a Replacement or Refund. Ordered a pair of running shoes and discovered that they don’t fit you? Don’t worry. Log into your Flipkart account, go to My Orders tab, click on Return and select the Exchange option. Exchanges are an option when the size does not fit you OR you do not like the color of the product. Ordered a t-shirt and discovered that it does not fit? What if there is no replacement available in that size? But if you like the t-shirt so much that you’d like to keep an eye on when it comes back in stock, just click on the Notify Me feature. When your favorite tee is available with a seller on Flipkart, you will receive a notification so that you have another chance to buy exactly what you like. So, you ordered a Captain America mobile cover for your Moto G, but when the package arrived you got a gold iPhone cover. While this is not a common occurrence, such scenarios should be immediately alerted for Returns. Once notified for return, our delivery personnel will collect the product delivered to you and provide you with a replacement of the exact product that you ordered. Remember to read the return policy on the page where your product is described. All returns are covered by the Flipkart replacement guarantee. If you are unsatisfied with your replacement, or if the specific product or model that you want is out of stock, our customer support team may advise you to opt for a refund. As a refund via the same source that you used to pay for the order (called Back to Source). For example, this means that if you paid via your HDFC Debit card, your refund will be credited to the same account. Via IMPS into a bank account specified by you while creating the return, if you choose to get refund into a bank account instead of taking refund Back to Source. (Available for Debit Card and Netbanking forward payments). 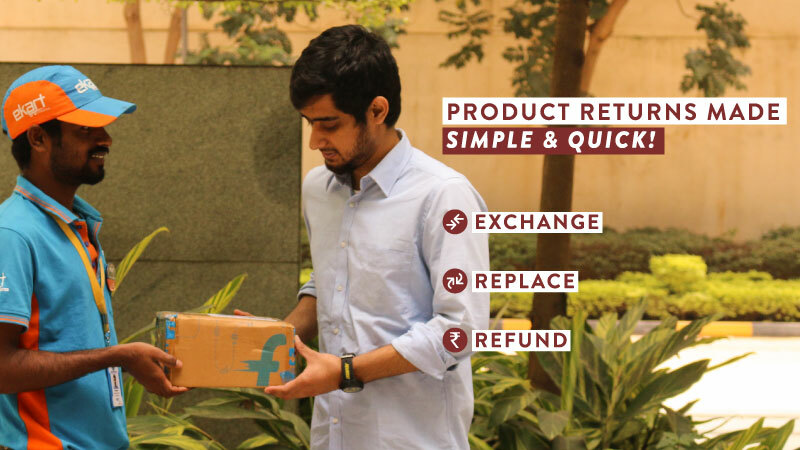 The Flipkart replacement guarantee stands applicable during the specified period, depending on the seller’s return policy and the product category. It is important to first check the Replacement Guarantee period on the product page and then ask for a ‘Return’. If, for some reason, you discovered that the product you ordered has some malfunction or is not working past this guarantee period, get in touch with the authorized service center of the brand in your city, just as you would with any product that you might purchase at an offline retailer. We hope that reading this article has made you feel more at ease about product returns on Flipkart. If you have further queries, we encourage you to carefully read the complete FAQ on Flipkart product returns and exchanges. Still have questions? Leave a comment or tweet to @flipkartsupport. Click here to find out more about how you can get in touch with Flipkart. next Loyal Flipkart Customer? Reward yourself with the benefits of Flipkart Plus! 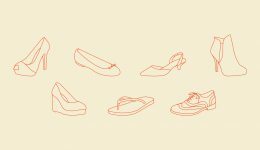 Women’s Shoes – How well do you know them?